You’ve probably read about the positive effects of coconut oil’s medium chain triglycerides (TCMs) to produce ketones that energize brain cells in lieu of dysfunctional brain metabolism (how coconut oil can stave off and reverse Alzheimer’s). And there are herbs from Traditional Chinese Medicine or Ayurveda that are helpful while Big Pharma flounders with failures to create a profitable Alzheimer’s pharmaceutical that might help more than harm. But now there is another effective non-pharmaceutical solution to add: Cannabis. Alzheimer’s is the third most prevalent disease killer in the Western world after heart disease and cancer, and its rate of diagnosis continues to soar. In addition to the obvious cognitive dysfunctions, Alzheimer’s victims are dysfunctional with mundane matters and daily routines, have little or no recollection of close relatives and friends, and tend to be very grouchy and feisty. A daughter tells the arduous caretaker story of helping her mother’s final stages of Alzheimer’s by getting her on medical marijuana and off pharmaceuticals in stages. Her mother, who arrived to her daughter’s Oregon home as she was approaching 80 years of age, was not the type who took advantage of holistic medicine and organic foods and supplements. In addition to her Alzheimer’s, she was on several other medications for other ailments. But the crafty inclusion of some home cooked organic meals and cannabis produced very positive results with the mother’s cognitive abilities. The herb stews made her much more sociable and cooperative instead of feisty, angry, inappropriate and anti-social, which are all symptoms of Alzheimer’s, in addition to the gross absence of memory. Her mother did pass away peacefully and lovingly at age 83 after the mother-daughter bond was firmly re-established. In other words, she exited the Earthly realm in a much better state than if she had not been exposed to cannabis. A 2013 in vivo (mice) study in Spain, a vanguard for cannabis research, did a study on cannabis for Alzheimer’s entitled “CB2 cannabinoid receptor agonist ameliorates Alzheimer-like phenotype in AβPP/PS1 mice”. But that’s not the only Alzheimer’s study of recent that has come to similar conclusions. Researchers who worked on a study published in Molecular and Cellular Neuroscience came up with the most advanced understanding of Alzheimer’s mechanics and how cannabis demonstrates efficacy without toxic side effects. Their study was preceded by similar ones showing cannabis efficacy for Alzheimer’s. Let’s hope our brain dead, oppressive government and medical system wakes up to raw cannabis’s medical potentials. Is there a way to get the benefits of pot without smoking it? Hey mate scroll down to tono, you want proof that marijuana can and is not only slowing down the symptims that dementia brings but the quality of life that it is bringing us is wonderful, and the fact it is costing approximately 400 buks a week so half our pension for a once on the street to keep jenny happy as it probably only be for cupla more years anyway ill do woteva I have to she always got a bud in her bowl if she wants. Legalization for medical use is ideal. However, because of the current prices for the product the Black Market will continue to be around. With increased sales and competition sprouting up daily the prices will eventually drop. If Cannabis were allowed for recreational use the Black Market might be disrupted significantly or be absorbed into the system. Citizens should be allowed to grow on their own property and this too would end the Black Market need. It will be interesting to see how this unfolds and what the future holds for this industry and its patients. Great job retta ward the bogus new Mexico “expert” who denied Alzheimer’s as a condition. One of new Mexico’s corporate tools that lives off our taxes! Well im a 47 year old carer for my wife of 20years , she suffers dementia with the onset of Parkinsons, anyone that says marijuana doesn’t do anything come spend 24 hours at my place, 2 different people, when (stoned) as such she functions at about 80/90% normallity, when not under influence. There is too much money in the illegal sales of marijuana. Police,politicions,the mob,CIA and other government agencies would not be able to function in their current manner if the legalization process took place as heroin and cocaine marketing depend heavily on the illegal marijuana market for client exposure to the harder drugs. Don’t forget about the for profit prizon system. They benefit big time from long term manditory sentences for small possesion. I watch Fox news and there is no fair and balanced on the issue of medical marijuana, it is totally one-sided against it! Of course we have the failed war on drugs to defend. I still feel we’re living in war on drugs era. 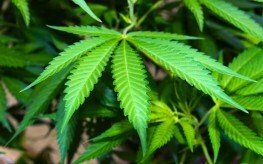 A credible and lifting study about marijuana use comes out every month and a large percentage of people still is against legalizing it, prompted up by media such as Fox. I agree with you – if you want to tell the whole tale, you should tell all the sides, not just pick one which best serves your values.